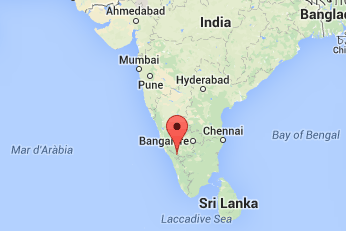 From Calicut you have to board a bus to Sultan Bathery (100km) and then to Pulpally (28km). From Pulpally you can take quick ride (2km) by auto-rickshaw or local bus to Vanamoolika centre. From Kannur there is very few buses every day. You have to catch one going to Mananthavady which is located about 100km from Kannur. There change into a bus to Pulpally and auto-rickshaw/local bus which will drop you off at our doors. From Bangalore every few hours you can board direct bus to Sultan Bathery (about 270km) from where every 10mins local bus to Pulpally departs. Then just pick your favorite rickshaw and enjoy the ride through beautiful Wayanad’s rural landscapes. The nearest main railway stations are Calicut (Kazhikode), Kannur and Bangalore, from where you can board buses to Sultan Bathery and then to Pulpally. From Pulpally its just 2km ride by auto-rickshaw or local bus to Vanamoolika. Our centre is located just about 140km from Calicut International Airport, from where you can catch the buses to Wayanad district of Kerala.